Giving it my all in the OPEN Course race – so much fun! 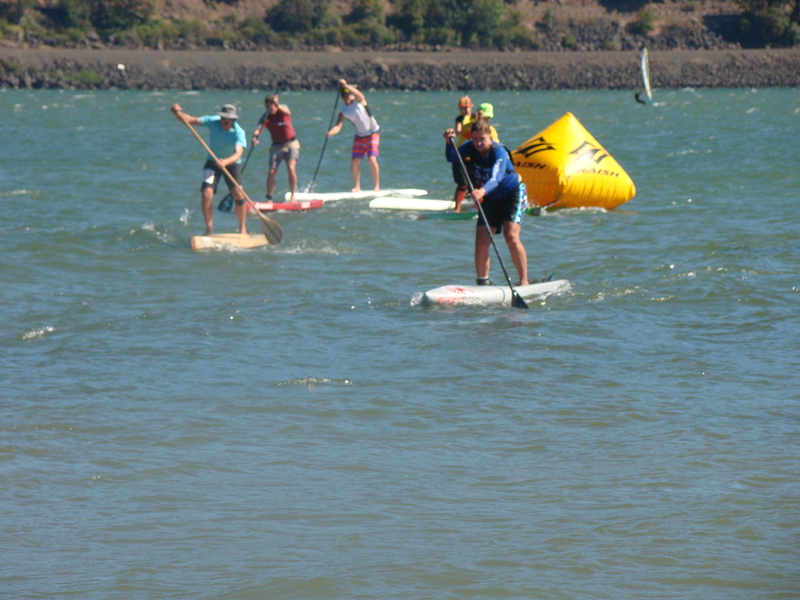 Last weekend I competed in the Naish Columbia Gorge Paddle Challenge. Compete is not the right word. 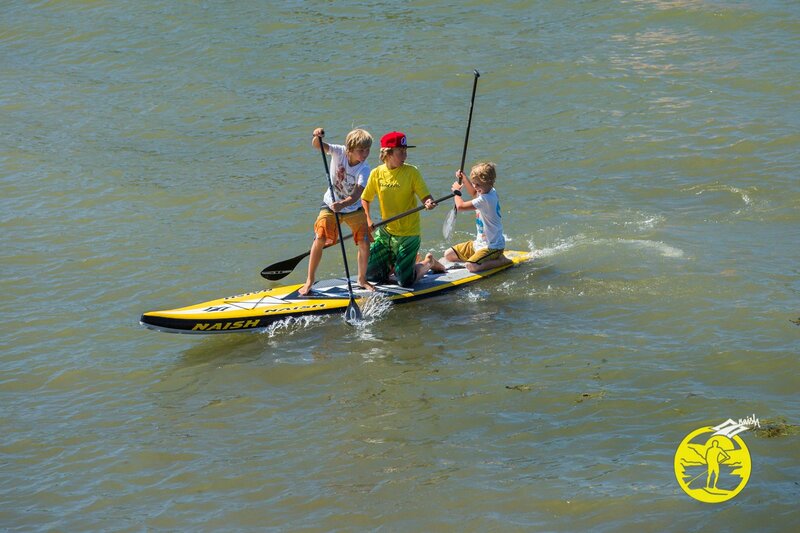 Let’s just say that I was on my board and paddling in both the downwind and course OPEN class races and having a blast. 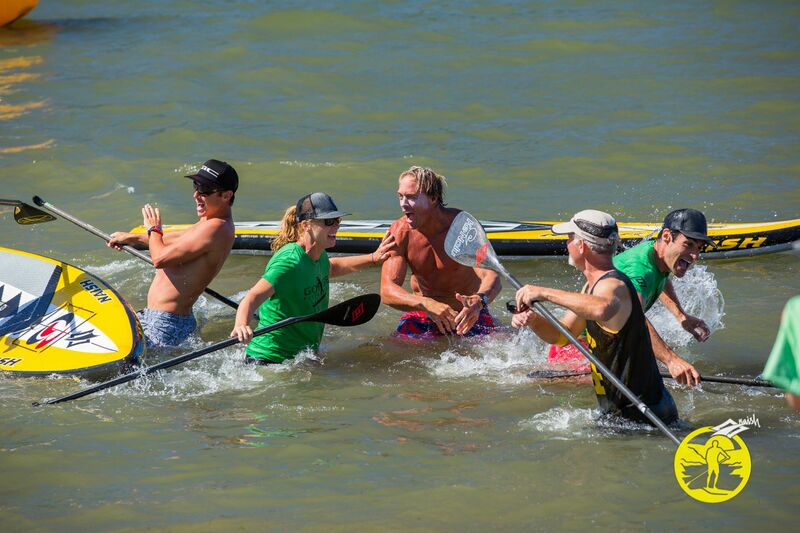 Energy was high, the elite paddlers were exciting to watch and meet and the wind conditions kept us all on our toes. The paddlers from the BigWinds JET team were inspirational, and true ambassadors for both our sport and their coach, Steve Gates. If I had to think of one disappointing part of the weekend, it was that I won both a first and second place award. I had paddled hard and enjoyed catching glide after glide on the Saturday downwind event – and then because there were only two of us in the age 50+ category riding a 14′ board I was fortunate to win (out of two??). Then on Sunday’s course race the real “win” was showing up and participating. The wind cranked furiously through the Gorge and made our 4 laps on the upwind leg and turning at the downwind buoy a mega-challenge. 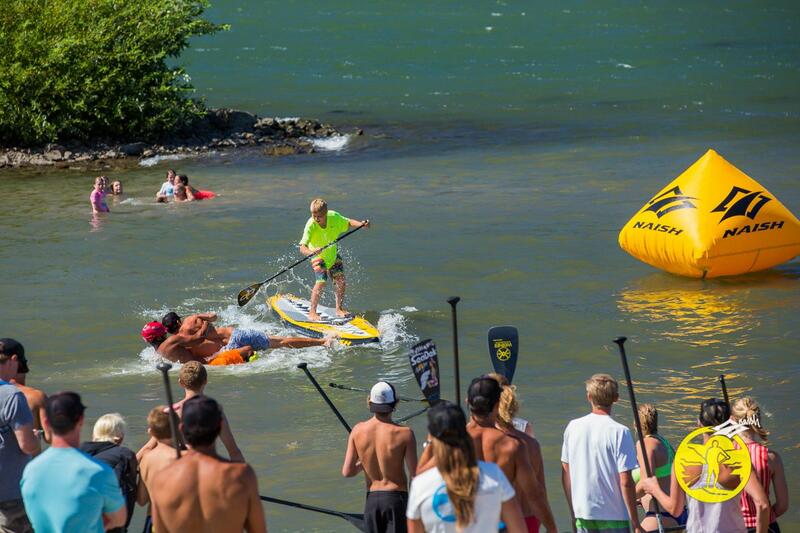 I remembered to have fun – and I charged out of the water at the end of the event pretty darn stoked! But placing second out of two (YAY! Bonnie Fromm rocks with the win) in the 50+ age group was no cause for celebration. The participation was the prize. I was puzzled as to why there weren’t more women in our OPEN classes. 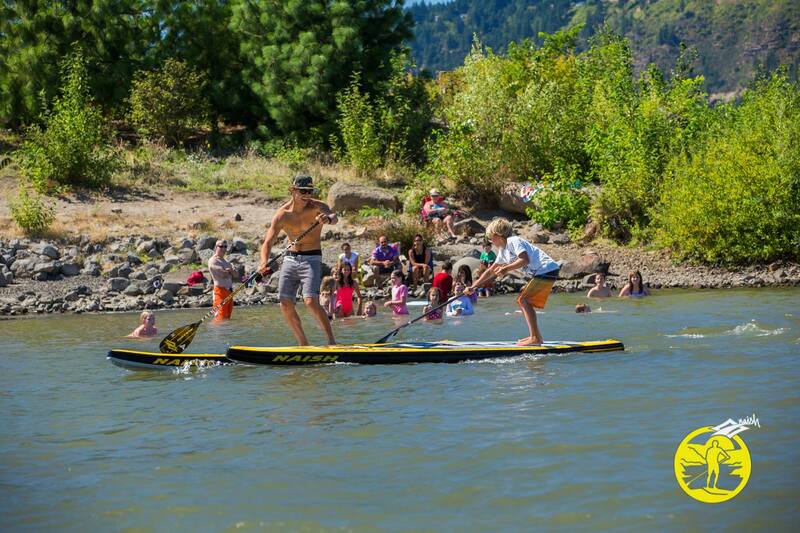 What could be done to turn the avid SUP paddlers on shore into participants rather than spectators? How could all the organization, effort and energy of the race management team be shared among more OPEN athletes? The elite classes were full of amazing, world-class competitors. What about the rest of us? 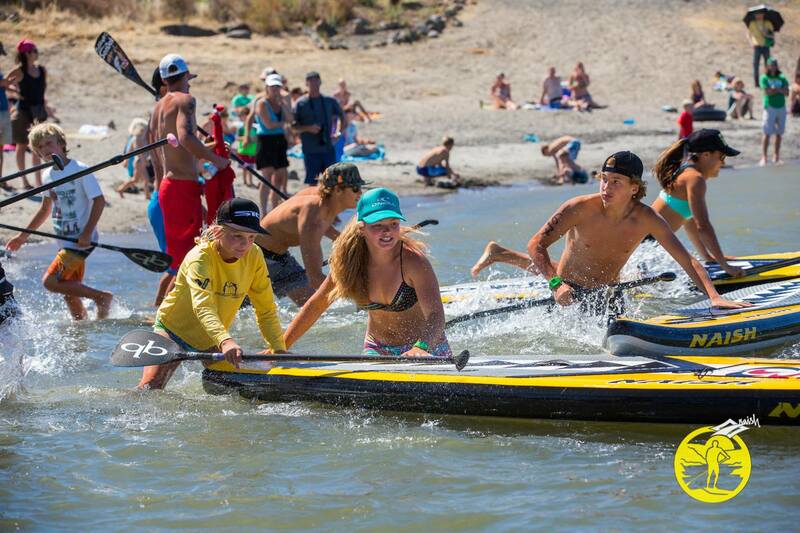 What sort of race event could generate entries and participation across a more broad bunch of paddlers? As he announced the rules, Steve Gates explained the fun-factor of the “race, “Go out and have a blast with the Naish ONE boards. They are inflatable and forgiving if you run into each other or fall off. They’re just right for any size or skill-level. This is a fun a event, be prepared to get wet and laugh.” Well, that is exactly what happened. I am looking forward to seeing more events like the Naish ONE team relays. I expect as people gain experience and confidence in that laid-back race venue they will take a chance with an OPEN event or two. Racing, like life, is a lot more fun when we focus on the experience more than the outcome. 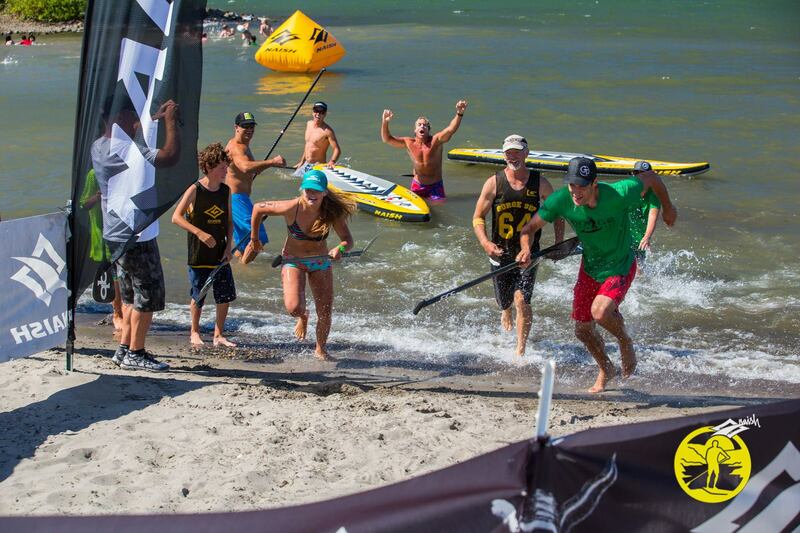 The next place I know of in which there will be Naish ONE fun will be in Las Vegas in early October – read more here.